Did you ever notice that airlines don’t have Black Friday specials? Actually, on Black Friday, they’re busy raising prices. Accordingly, a lot of people ask me this time of year how they can book Christmas flights without breaking the bank. As with any busy travel season, airlines tend to increase fares around the holidays, and this year, fares are particularly high. There are still some tricks that you can use to get a good deal, though. Here are a few of my favorite ways to avoid overpaying for airfare during busy travel periods. It used to be that airlines urged you to sign up for their email newsletter. They still do, but the best deals often aren’t sent in email anymore. If they are, by the time you receive the email, the best deals may already be gone. These days, it’s all about social media. You need to follow airlines on their Twitter accounts. This is by far the best way to get notified of deals immediately. However, if you don’t use Twitter much, it’s easy to miss these. Facebook also works, but simply clicking Like on a page isn’t enough anymore. You also need to click the drop-down arrow next to the Like button and set the page to See First. Otherwise Facebook is likely never to show you the post. Note that even if you do this, Facebook still isn’t 100% reliable. Set a page to See First or you’ll miss deals! The two US airlines that seem to be most prolific with flash sales are Alaska and Southwest but other airlines have also offered them. So, follow every airline that you’re likely to fly from your home city in order to be notified when there is a sale. Also keep in mind, not all sale fares are good! They are sale fares, but don’t just blindly book these on the airline’s Web site without comparing first! Airlines do tend to match each others’ fares, so you might find better prices or flight times on another airline. Another great Twitter account to follow is @TheFlightDeal. They’ll often post unusually cheap fares that they find. While these fares usually depart from big cities with major airports (such as Los Angeles and New York), there are occasional deals to and from smaller cities as well. You never know what they might uncover so it’s worth watching the deals. An incredible adventure I enjoyed in Ecuador and Mexico City started with a post from TheFlightDeal simply because it was so cheap. Remember, Southwest doesn’t list their fares with online travel agencies like Expedia and Orbitz. You can only buy tickets directly from their Web site. It’s rare that you’ll find a better fare with Southwest (most other airlines match their fares), but they do allow free checked bags and other airlines charge for them. So, be sure to compare the all-in cost for the flights that you’re considering. You might find that Southwest, even with a higher fare, is a better deal overall. Airlines often play a game of “chicken” with fares. You’ll often see an impenetrable wall of high fares listed with every airline serving a given city pair. However, the real story begins to be told when you check frequent flier seat availability. The availability of seats with most frequent flyer programs generally isn’t based on the fare being charged in a given market, but how many seats the airline has already given away and how well the flights are selling (they really don’t like giving away seats they could sell). You might find that a really expensive seat is available at the “saver” award level in your preferred frequent flier program. If there is more than one such seat, it’s a possible clue that seats aren’t selling fast at the current price (conversely, no frequent flier seat availability, or availability only at the “high” redemption rate, signals a flight with genuinely high demand). So, you could wait and hope that prices go down. I don’t advise this: instead, use your miles! It’s for situations like this that you have them. Also don’t forget to search your award tickets as one-way tickets rather than round-trip. This is because you might find that there is availability with points one direction, but not the other. Even if you end up paying for half of your trip, using miles can save you real money. I generally recommend redeeming points only at the “saver” level, which is typically 12,500 miles in each direction for a domestic US flight with most frequent flier programs. Depending upon the program, the value of points is anywhere from 1 to 1.5 cents each, so you can use this as a rough calculation as to where you’ll “break even” booking on points. Ignore travel bloggers who urge you to optimize for first class experiences. In my mind, being home with my family for Christmas is a far better and more personally fulfilling experience than a fancy seat on an international flight. If you’re willing to fly on one of these dates, you can get a cheap fare. Tianjin instead of Beijing – just a short train ride away. Shanghai Hongqiao instead of Pudong. It’s more convenient! Guangzhou and Shenzhen instead of Hong Kong, particularly for destinations within mainland China. Tokyo Haneda instead of Narita. London City, Gatwick, Stansted or Luton instead of Heathrow. Rome Ciampino instead of Fiumicino. Istanbul Sabiha Gökçen instead of Ataturk. These are not the only cities in which alternate airports are possible. They’re just some of the larger ones with more available flights and options. Using alternate, less popular airports often means lower fares, but these airports can also be incredibly useful when it comes to redeeming miles on inbound flights. Why? People flying to Los Angeles are less likely than the locals to be familiar with, say, Burbank airport. So there isn’t as much competition for limited seats. You can use this to your advantage with a combination of one-way tickets. Traveling from Washington DC, you might depart from DCA and take a flight to Burbank. On the return, you might fly from LAX to Baltimore instead. One-way tickets give you the flexibility to mix and match, so take advantage to find both frequent flier availability and lower fares. There is usually a price premium for nonstop flights, but this becomes particularly true during the holidays. Airlines who are dominant in a given city (for example, Delta in Atlanta, American in Dallas and United in San Francisco) will charge significantly more for their nonstop flights than connecting flights on different carriers. So, if you’d normally prefer a nonstop flight, consider taking a connection if it saves you a significant amount of money. An hour on the ground in Dallas or Chicago isn’t much extra time on a coast-to-coast flight, but it could save you hundreds of dollars. Let’s face it: most of us can’t take time off without clearing it with the boss in advance. However, if you wait to clear your proposed vacation days, that great flash sale will evaporate! Those free tickets you could score with your miles will be gone. And that perfectly timed flight at a price you couldn’t believe will disappear. If you find a great deal, book it right now. Airlines allow you a full 24 hours to either cancel your ticket and receive a full refund or to hold your ticket prior to purchase (the Department of Transportation mandates that one or the other be allowed). So, book first and ask for time off later. Your boss will probably let you go if you already booked tickets (you can use this as leverage) and if she won’t, you can ask for a refund. Just be sure to do it within 24 hours! If you fail to do so, your purchase is locked in. Best wishes from Seat 31B for a happy holiday season. We hope these tips will get you home safely without breaking the bank! UPDATE: It’s back! Get this deal before it vanishes. I don’t normally share credit card offers because every other travel blog is awash with them, and very few of them are actually good. However, I will occasionally share a deal that I genuinely believe is actually a good one. How can you keep me honest? I’ll tell you a secret: timing. The best time to get an airline affiliate credit card is near the end of a fiscal quarter, and near the end of the fiscal year is best. All the banks are trying to hit their numbers so they offer better deals. That’s why we’re seeing an exceptionally good deal from Chase on their Southwest Airlines Rapid Rewards credit card. This offer expires November 15, 2016. What’s the deal? An exceptionally generous 50,000 Rapid Rewards points after an easily achievable $2,000 minimum spend. The regular offer (available here) is half as generous: 25,000 bonus points with a $1,000 minimum spend. This can add up to 10 or more free flights depending upon how you redeem the points. For the Seat 31B traveler, no other offer comes close. Grab this deal and support Seat 31B! 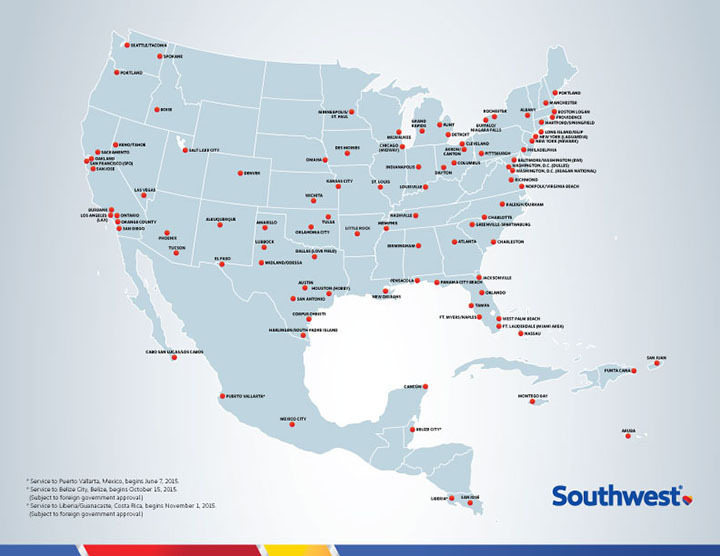 Southwest has a different frequent flier program than most. It is based on points rather than miles and is revenue based. So, this program can be considerably more lucrative for many domestic flights than other frequent flier programs. This is because the price of awards is loosely based on the price of a paid ticket, although not exactly. There are “sweet spots” based on the day of the week that you fly and the airport you fly from. What are some of the better award rates? If you are getting 1.5 cents in value per point or greater, you’re doing pretty well. Redemption values will vary from as low as 1.2 to as high as 1.9 cents per point, with the highest prices on popular dates and routes (particularly booked last-minute) and the lowest ones booked on less popular dates and routes (particularly in advance). The sweet spot is short-haul flights booked in advance. I use Southwest points when I can plan ahead and when I can be flexible to get the best deals and have flown from Los Angeles to Seattle for under 5,000 points. A trip between Ontario and Sacramento I’m taking in December cost only 2,819 points. When you compare this to other programs, it’s an incredible value. British Airways, generally considered the best “legacy” airline program for short-haul flights, now charges a minimum 7,500 points for a short-haul flight. Another advantage of the Rapid Rewards program: no cancellation fees. I will often use Rapid Rewards for speculative bookings where I’m not 100% sure whether I’ll actually take a trip. I’ll book the ticket well in advance to lock in the best redemption rates, and if I can’t actually go, I can cancel the trip without penalty. As long as you cancel 10 minutes or more before the flight’s departure, you will get back all of the points. Also, don’t forget to keep checking to see if the price goes down. If it does, just refund your ticket and re-book at the lower rates. This happens more often than you might think! Finally, don’t forget that Southwest charges no baggage fees. I fly them fairly often if I need to check bags, because you can check up to 2 bags free of charge. This saves you $120 versus most airlines on a round-trip flight (if you check two bags). On short-haul flights where the fares are low anyway, baggage fees on other airlines can sometimes exceed the fare! There are different flavors of the current best offer. This version has a $99 annual fee and $2,000 minimum spend, but you do get most of the value of the annual fee back because it awards 6,000 bonus points at each renewal and includes free drink coupons. Also, if you use our magic link, Seat 31B receives 5,000 bonus points. Other offers for the same card may waive the annual fee for the first year (these are targeted offers for which you may or may not qualify), but with those deals, you don’t get the bonus points at renewal. 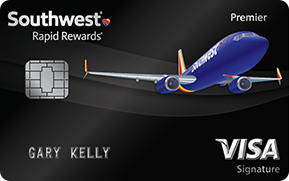 This card also has no foreign transaction fees, which isn’t the case with all Southwest Airlines cards. I’m comfortable offering this card because I’m confident there isn’t a better deal out there, and it represents a good value for Seat 31B readers. Chinese carrier and Alaska Airlines Mileage Plan partner Hainan Airlines periodically has good coupon specials. They’re currently offering a limited number of $80 discount coupons for people who sign up on their Web site. There are surprisingly few restrictions with these codes, and since Hainan already has some of the lowest fares in the markets they serve, this represents substantial savings. Grab this deal before it’s gone! You can get your coupon code at this link. There are a limited number of codes available, and you can only get one per day. Since these coupon codes can be redeemed through the end of the year, it’s best to get one now while they’re still available. Good only for flights on Hainan Airlines’ own planes, not for their codeshare flights with Alaska and American Airlines. These depart from Seattle, Boston, San Jose and Chicago. You must book your flight directly on the Hainan Airlines web site. You must buy your flight between now and 31 December 2015. However, your travel dates can be through 30 June, 2016. I have written quite a bit before about Hainan Airlines before. 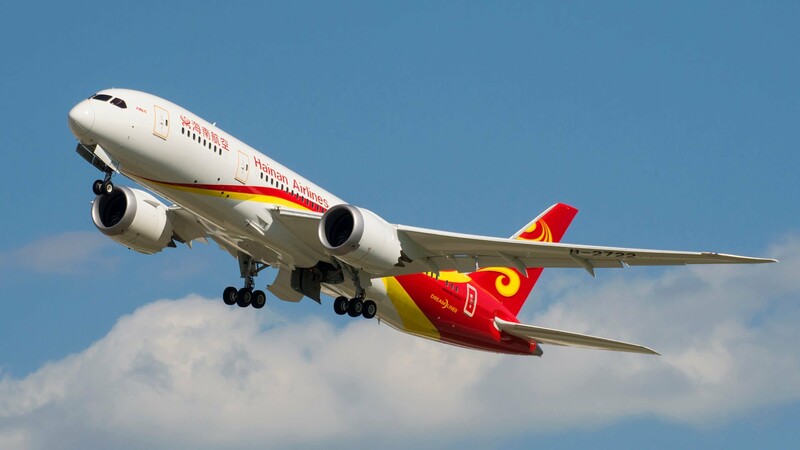 They fly new modern aircraft, have generally excellent (although distinctly Chinese) inflight service between the US and China, and together with their partner Hong Kong Airlines, they serve not just China, but destinations throughout Asia. Given that US citizens can now transit China without a visa, and that Hainan Airlines is generous with stopovers, you could potentially see two countries for the price of one at a lower price than you’d find elsewhere. 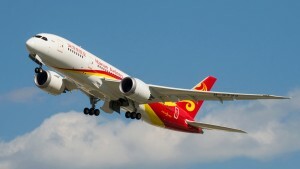 Hainan Airlines is an Alaska Airlines Mileage Plan partner. If you’ll be flying with them, I recommend that you credit the flights to your Alaska account. What’s the best time to apply for a passport? Right now. The least busy time in the passport office is between October 26th and November 30th. And, for the first time, the US State Department is offering free faster processing to anyone who applies for a passport through the end of November. This applies to both newly issued and renewal passports. Due to security requirements, the State Department can’t easily add seasonal staff in the same way as private businesses. So by offering faster processing, my guess is that they hope giving people an incentive to renew early will nudge them to renew off-peak. Don’t get stranded with an expired passport. Renew early! What do faster processing times mean in practice? The State Department advertises 4-5 week turnaround for regular passport applications, and 2-3 week turnaround for expedited passport applications (which cost an extra $60). Anecdotally, it can be much faster if you apply off-peak. The State Department processes applications in the order and priority received, and if there isn’t a long line ahead of you, you could see your passport in as little as a week or two. They won’t advertise or promise this, and you shouldn’t count on it, but it can and does happen. You don’t have to wait for your passport to expire to apply for a new one. Many countries won’t let you in if your passport expires within 6 months of your arrival! 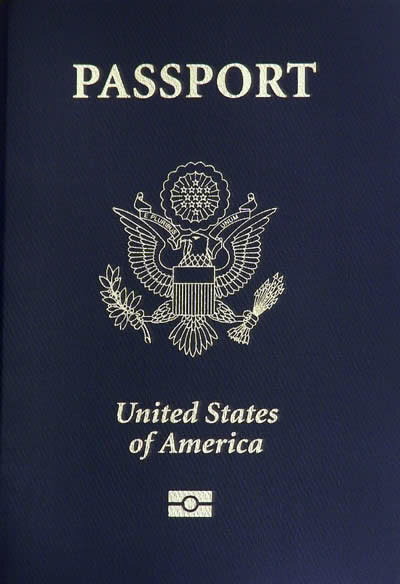 Consider your passport expired 6 months before the actual expiration date. If you travel frequently, ask for a passport with extra pages. Ordinary passport renewals come with 24 pages. 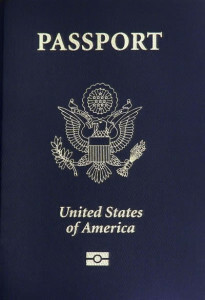 You can get a 48-page passport at no additional charge upon request. Don’t pay for expedited service unless it’s an emergency, and you’re applying in person at a US Passport Agency for travel within the next 2 weeks. This time of year expedited service is a waste of money–except for emergency rush applications–because ordinary applications are processed in an expedited time frame anyway. Ring Plus Mobile is a Sprint reseller. They have been in business for a couple of years and occasionally have really crazy attention-grabbing deals. Today, they’re running one of them and I encourage everyone to run out and activate a line right now. Why? This is the first time they’ve offered a truly full-featured free plan that won’t likely turn into overages. You get 1500 minutes, 1500 SMS messages, and 1.5GB of data per month. Most people don’t use much (or any) more than this, and similar prepaid plans cost around $40 per month. How is this travel-related? Sprint, through its legacy acquisition Nextel, has coverage in some fairly unusual places where you can’t get GSM coverage. If you’re using a GSM carrier such as AT&T or T-Mobile, it might be worth lighting up a second line on Sprint so you have a way to make calls elsewhere. Also, maybe you want to preserve your data allowance on your primary line. I’m adding a line with this plan and will keep it in the car to stream music. Why not? It’s free. RingPlus uses the Sprint network. This is considered the weakest network of the major US carriers. While they do cover some spots that other carriers don’t, the coverage is (for the most part) somewhere between poor and awful. Overages are expensive. You’ll pay 4 cents per extra text, minute, and megabyte. An extra gig of data could cost you $40! A $15 deposit is required. This is money you’ll never get back. It goes into your RingPlus account to pay for overages. No guarantee it’ll stay free. RingPlus has never taken a free plan away before, but there is no guarantee they won’t in the future. Given that you get the value back after the first month, don’t be too upset if this goes away. You can buy a phone directly from RingPlus (they mostly have older refurbished phones for sale at higher prices than Amazon or eBay) or activate any Sprint phone. I have also had good luck activating Boost Mobile Android phones, which are much less expensive. You’re not supposed to be able to do this, but it did work for me. In fact, I currently have both a Boost 4G LG Volt and a Boost 3G Moto G active on free RingPlus plans. To sign up, use this link. Cheap Spirit Intro Fares: Should You Bite? Spirit Airlines has some new routes to and from LA, and they’re advertising very low introductory fares starting as low as $34.10 each way (for flights to and from Portland). These are exceptionally low fares, some of the lowest I have ever seen on these routes. Given the savings, should you bite? The headline fare is low, but there’s a catch! Maybe not. There aren’t many airlines that are on my “no fly list,” but Spirit and Ryanair both qualify. Why? The customer experience is more like navigating a minefield rather than buying tickets. Apart from charging for checked bags, they also charge for carry-on bags, printing your boarding pass, and even booking online. But wait, there’s more. Once you’re finally on board (and after paying more in add-on fees than you expected), Spirit has the most uncomfortable seats in the skies. There is a mere 28″ of space in between the narrow 17″ seats. Seats on Spirit don’t even recline! And unlike every other airline, not even a glass of water is free. You’ll have to buy a drink and pay $3. So, by the time you get done, you might not be saving a lot of money. There is also the question of irregular operations. If you’re flying with a mainstream airline (in the US, this means most carriers apart from Southwest, Spirit, Allegiant and Frontier), these airlines have agreements to get you where you’re going even if another seat isn’t available on the carrier you booked. So, for example, if you’re on the last United flight of the day from Seattle to Las Vegas and the plane has a mechanical issue, they could instead (pending availability) rebook you on a later Alaska or Delta flight to get you where you’re going. Spirit will never rebook you on any flight that isn’t their own. They have a reputation for taking liberties with the definition of “weather” in order to avoid paying for hotels if they strand you somewhere (if they can blame weather, they don’t have to pay). And Spirit has far more limited numbers of flights, so it could be several days before they can get you where you’re going. This isn’t a problem with a larger carrier. Even Southwest, which also won’t rebook you on other airlines, at least has such a large and extensive route network that there’s usually a way to get you where you’re going in a reasonable time frame. Is Spirit worth it? I would maybe consider them for one-way, optional journeys from my home city where I don’t need to carry luggage and I can buy the ticket at the airport and check in online. This avoids Spirit’s extra “gotcha” fees. And if something goes wrong, I could just cancel the trip and ask for a refund (which Spirit will grudgingly provide in the event of irregular operations). If I’m only using them from my originating city, I won’t have to worry about getting stranded in a place where hotel room costs erase any savings. However, also note I’m 5’7″ tall and weigh 140 pounds. Narrow seats that are spaced close together don’t bother me that much. If I end up in Seat 31B, so be it. If you’re big and/or tall, it’s another question entirely. You’ll likely end up paying for priority seating to avoid the crunch in the back, erasing even more of the savings. This is so cool that I just have to post it. Check out this absolutely incredible video with two guys wearing jet packs vs. an Emirates A380. Kids, don’t try this at home!